The Wine & Spirits (W&S) Top of the List Tasting presents the Annual Restaurant Poll issue in dynamic form, transforming print into reality. The Annual Restaurant Poll issue reports on America’s Most Popular Restaurant Wines by region and varietal category, as determined by the responses of top restaurateurs and wine directors to our Poll. This tasting celebrates the featured wineries as well as the chefs and sommeliers who contribute to the Poll’s ongoing success. The exclusive Poll canvasses over 2,500 of the most popular restaurants in America (based on Zagat Survey listings) to determine the 50 most popular wine brands in restaurants and the most popular wines by the glass, variety and country of origin. Sales trends, interviews with prominent wine figures in the US and in-depth analysis of Poll data make the issue an integral resource for assessing the performance of wine in restaurants, and predicting trends. The Top of the List Tasting draws its inspiration from the success of the Wine & Spirits Restaurant Poll issue. As the most visible issue of the year, it generates appreciable media interest, with past Poll results having been featured in the New York Times, USA Today and the Associated Press. 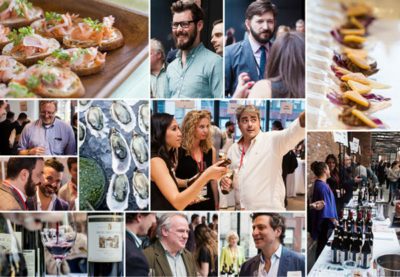 With five James Beard Awards for distinguished wine writing—more than any other wine publication—we offer the most articulate, sophisticated context for wineries, restaurateurs and sponsors to showcase their brands. This event takes place on Thursday, April 27th, 2017 from 5:30 PM to 8:30 PM at 404 NYC, 404 10th Avenue (between 32nd and 33rd St.).